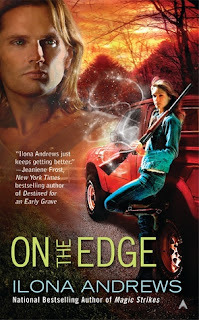 But when a terrible danger invades the Edge from the Weird, a flood of creatures hungry for magic, Declan and Rose must work together to destroy them—or they'll devour the Edge and everyone in it. Free online fiction from author's website. But all is not as it seems. Two nations of the Weird are waging a cold war fought by feint and espionage, and their conflict is about to spill over into the Edge—and Cerise's life. William, a changeling soldier who left behind the politics of the Weird, has been forced back into service to track down a rival nation's spymaster. When William's and Cerise's missions lead them to cross paths, sparks fly—but they'll have to work together if they want to succeed…and survive. Charlotte de Ney is as noble as they come, a blueblood straight out of the Weird. But even though she possesses rare magical healing abilities, her life has brought her nothing but pain. After her marriage crumbles, she flees to the Edge to build a new home for herself. Until Richard Mar is brought to her for treatment, and Charlotte's life is turned upside down once again. It was so great to read these books! 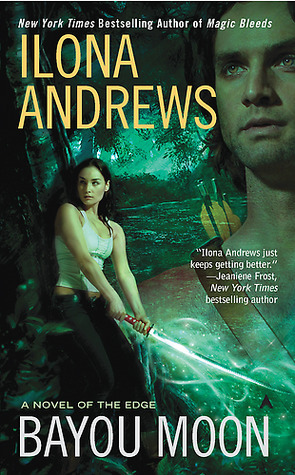 I knew it was a popular series of Ilona Andrews, because they mention that people always ask for more. And now having read it, I totally understand! I would totally want more! I loved the world so much! There's the Weird, with magic, the Broken with no magic, and then between them, the Edge as a little stripe of land! So interesting and I loved everything about it! I loved all the details, of how they could go between the two worlds if they had a certain level of magic, and if you had too much magic, you couldn't get to the Broken, and too little you couldn't get into the Weird. Yeah, that was really awesome to read! I loved how these books were connected. Like, the 3 later books in the series, each one had a Mar as a significant other. The first one didn't, but the guy was a friend of the guy in the second book. 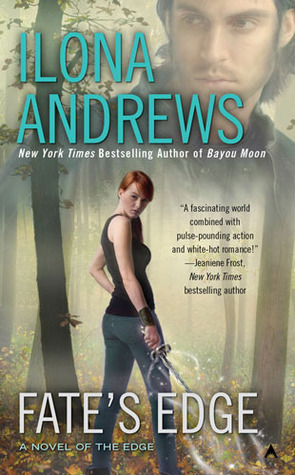 And her brothers are in each book, though they're only in the end of Bayou Moon. Really enjoyed it! So there were two main plots in these books. One, the underground war between the two countries. The other, slavery. I don't think the underground war bit was totally over which is another reason why I want more, but I loved how the slavery ring was taken down and dealt with! It was so great! 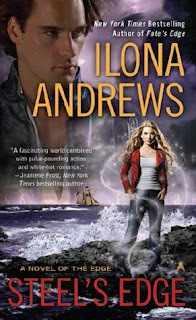 I loved reading these books, they were so great, and so enjoyable to read! Reason Why: Love their writing, and they're Prequel & Sequel Challenge 2018 Books! And On the Edge is a WTC Book! And Steel's Edge is a End of Series 2018 Book!